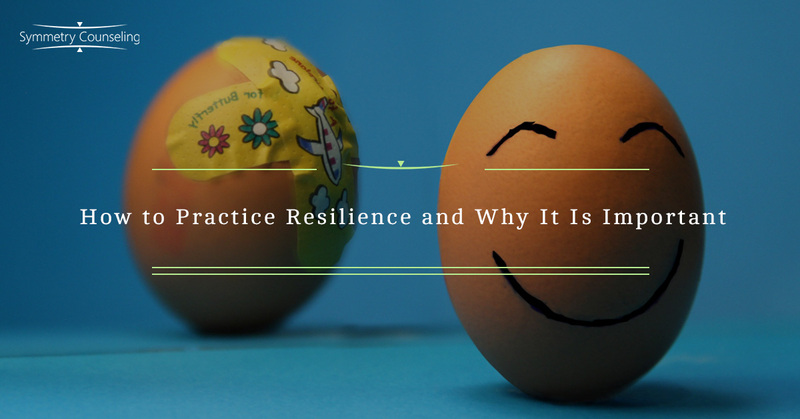 I work with many clients who are struggling to practice resilience after experiencing an event that was stressful at their job or perhaps even a traumatic event in their personal or professional life. As their clinical therapist, I help them find ways to cope with this life transition. Some clients also truly struggle with the concept of finding time just for themselves by actively participating in self-care. I help them to discover the reasons why they are continuing to say “yes” to others and “no” to themselves. My job then is to help them switch that into saying “yes” to themselves, and “no” to others when of course it is appropriate. The reason self-care is so important, is because it so connected with practicing resilience when feeling overworked to exhausted in our jobs or with our personal relationships. Perhaps it could be because individuals sometimes fall into the slippery slope of wanting to please others and forget about making themselves happy. I recently read an article that touched on this topic, specifically focusing on the importance of practicing self-care in order to practice resilience from Pocket, “Resilience is about Recharging not Endurance” by authors Michelle Gielan and Shawn Achor. Below are some helpful tips from Gielan and Achor about the importance of implementing self-care in order to practice resilience. Lack of recovery period. Many people feel the need to go from one stressful task to the next stressful task in order to be productive. What individuals fail to realize, is that research has shown that when doing this, it creates increased safety and health problems. Yes, not giving yourself some “me” time can create both safety and health problems. Misconception of resilience. Misconceptions of resilience may have started at an early age of being in high school when parents praise their child for staying up all night to finish a project. No, that is not resilience! That child is now going to school with way less than the recommended 8 hours of sleep, which then causes the child to have cognitive impairments on the way to driving to school, poor attention span in their classes, and perhaps even irritability with their friends or teachers due to this lack of sleep. A resilient child is one that is well rested, not sleep deprived. Homeostasis is needed. Our mind and bodies are very interconnected and it is important to keep both balanced; it is through homeostasis that allows for this balance as it is the ability for the brain to store and sustain our overall well-being. Brent Furl, a positive neuroscientist from Texas A&M coined the phrase “homeostatic value” which essentially is the importance for our body to have equilibrium, because without that equilibrium, our mind is not balanced either, which could contribute to stressful thoughts and feelings. Build resilience at work. With this perhaps new understanding of the importance of keeping homeostasis, one may wonder how to do this? Researchers Zijlstra, Cropley and Rydtedt discuss needing both internal and external recovery periods. Internal recovery periods are periods throughout the work day to find some time to relax, maybe that means taking a lunch or coffee break, or taking a walk around the block. It is important to take these breaks when you feel like you’re becoming mentally depleted. If you struggle with “allowing” yourself this time, you can say to yourself, “it will help me to be a more productive employee.” External recovery periods are outside the work days, such as the weekends or holidays. Use this time to truly relax and recover to reenergize yourself for the following week. Strategic stopping. If you find it hard to just randomly stop during your day, you can put an alarm on your phone for every 90 minutes to just recharge your batteries, whether that is taking a few minutes for some deep breathing exercises or talking to a coworker about something non-work related. If you are currently struggling with practicing self-care and resilience it may be a good idea to connect with one of our skilled counselors at Symmetry Counseling today. You can contact them at 312-578-9990 to set up an appointment.